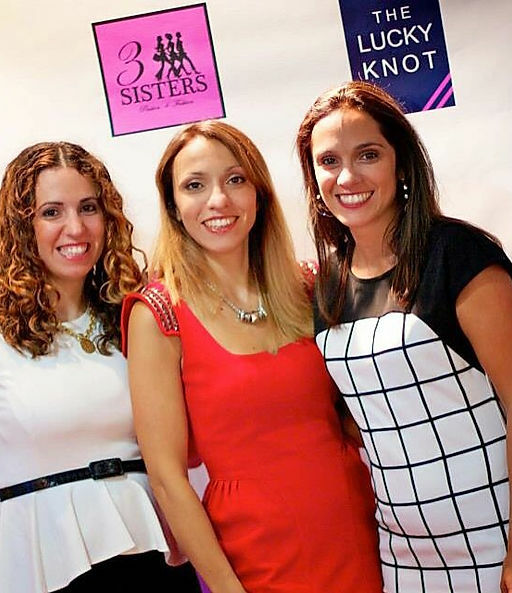 Stavroulla, Athina and Stella (pictured left to right) are long-time fashionistas. They grew up working in their mother's retail store and still work alongside her. Throughout their life their mother took time to impart her style and taste in fashion - teaching them you don't have to spend a fortune to look great. That is the basis of their two stores 3 Sisters and The Lucky Knot with locations in both Alexandria, Virginia and Annapolis, Maryland. Both stores specialize in different styles of clothing but showcase the sisters' love of great fashion. Our storefronts offer a wide variety of clothing, jewelry, bags, sunglasses, accessories, shoes, and more. We proudly carry Toms shoes, Kate Spade accessories, Ban.do, Kitsch, S'well, Pinch Provisions, Casery, and PopSockets. Throughout the year, we have formal and semi-formal dresses for events like prom, homecoming, graduation, bridal, etc. We would love for you to come visit us and see what we have in our Old Town Alexandria and Annapolis stores! *Hours may change with season; closing times vary. Call us with any questions!